Christian Tümpel: Rembrandt. Rowohlt Taschenbuch Verlag, Reinbek 2006. ISBN 3-499-50691-2. Michael Kitson: Rembrandt. Phaidon Press Inc., New York City 2007. ISBN 9780714827438. 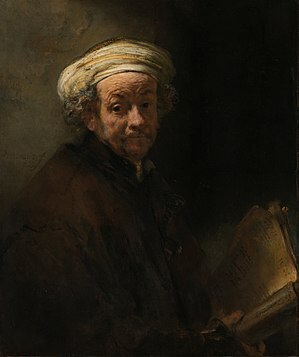 Wikimedia Commons has media related to Self-Portrait as the Apostle Paul (Rembrandt - Rijksmuseum Amsterdam).